If you haven’t seen the Family Band live then this is an attempt to give you a flavour of what we do. The band consists of Dad Paul, his three sons Toby, James and Jonny and drummer and honorary son Pete. All of the members of the band are multi-instrumentalists and will play two or three different instruments each during the course of a gig. This versatility gives them an ability to tackle almost any style of music and consequently always makes for a refreshingly different and surprising set list. All four front members of the band are lead vocalists in their own right and during a performance the lead spot switches between them, as well as great lead vocals most songs also feature great harmonies with the distinctive sound that only happens when members of the same family sing together. The most common question asked of a band is “What sort of stuff do you play?” and for us it is always the most difficult question to answer. Every audience is different and we never plan a set but instead draw on the hundreds of songs and tunes in the repertoire to suit each individual gig. We have become known for certain songs which usually make an appearance but apart from that we haven’t got a clue what we are going to play. One of the most popular things about the band is its versatility and during the course of a performance they will cover a vast array of styles which could include some or all of the following genres. Pop, Soul, Funk, Reggae, Tamla Motown, Rock, Indie, Country, Bluegrass, Ska, Blues, Rhythm and Blues, Disco, Jigs and Reels, Rock and Roll and much more. There are also the unique versions of classic songs played in unexpected styles that the band is particularly known for. Many bands can play all night for dancing and The Starks Family Band is no exception, but very few bands are as entertaining, the banter and interplay between the members of the band are only part of the show. Sometimes the dance floor is packed with people not dancing but wanting to be closer to the band to better see the witty and clever set piece numbers for which they have become known. Paul has been a professional singer, musician and entertainer for 30 years and a semi-pro for all the years before that starting at around age 13. He has worked in every conceivable type of venue throughout the UK and Europe and appeared with many well known performers from all sides of the entertainment business. Paul fronts the band and his witty between song patter and introductions reflect the 20 years spent in his parallel career as a stand up comic. In addition to his work with the band Paul also spends a couple of days a week teaching music in a special needs school. For about 3 years he was internationally famous in Scotland for his stunning portrayal of a melon in this advert. Vocals, Electric Guitar, Acoustic Guitar and Bouzouki. Toby began to gig with his dad from about age 13 but has since carved out his own niche in that business we call show. As a founder member of the Folk Rock Band Wheeler Street he has toured the country and appeared at many of the top festivals including Glastonbury. He is a member of 3 or 4 other bands and always in demand as a session singer and musician. Toby is a master of most stringed instruments but in the band usually plays guitar or bouzouki, he is a fantastic musician with a mesmerising stage presence. He also teaches music in a special needs school and has recently followed in his father’s footsteps by singing on this other dairy products advert. Vocals, Mandolin, Acoustic Guitar and Bass Guitar. 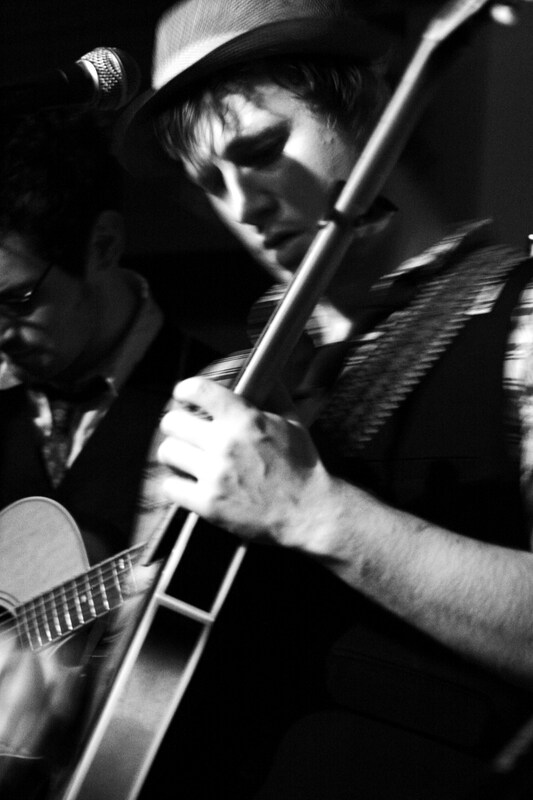 James started gigging with his dad and brothers Toby and Jonny at around the age of 13 (a pattern is beginning to emerge) and his mandolin playing, plus his distinctive and expressive voice are a big part of the band’s unique sound. At times James seems almost possessed when he plays the mandolin with an intense energy and concentration, people (especially the ladeez) have been known to spend an entire evening just staring at James playing. 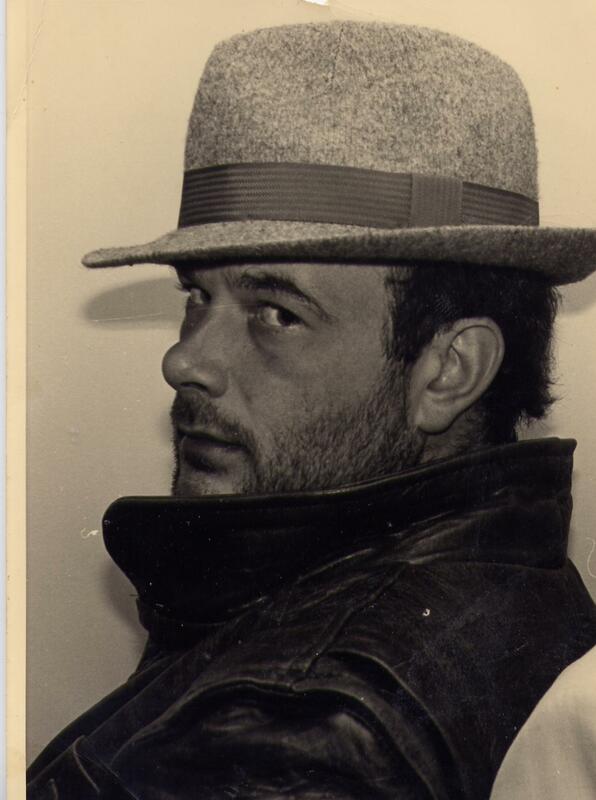 A natural showman and a more than accomplished actor he has played the lead role in many musicals including Grease, Summer Holiday and Jesus in Godspell. He studied Music Technology after leaving school and is the band’s in house sound expert. Vocals, Bass Guitar and Fiddle. Jonny is James’ twin brother and joined the band with him at 13 and for most of the evening you will see him playing funky and tight bass guitar but when he passes the bass to James and changes to fiddle he becomes the focal point of the band. His wild fiddle style is complemented by the fantastic arrangements of the rest of the band and the blistering jigs and reels, country rock and bluegrass numbers that the band performs with Jonny on the fiddle are a lot of people’s favourite parts of the bands repertoire even amongst those who have no previous liking for that style of music. 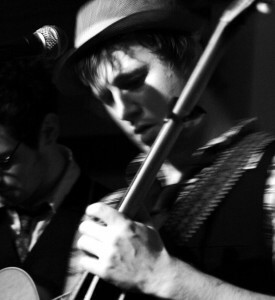 Jonny is also a founder member of Wheeler Street and has also toured the UK and played at all the major festivals. Pete and Toby have been playing music together since the age of 9 and when it came to choosing a drummer for the family band there was never any doubt who would get the job. Although he only plays the drums in the band Pete is as much of a multi-instrumentalist as the rest of the members. He is in constant demand as a drummer but also as a guitarist and bassist and plays those and other instruments in quite a few other bands. Sometimes in a band the drummer can sit in the background unnoticed by the audience, there is no chance of that with Pete, his imaginative and entertaining style makes him just as mesmerising as the rest of the band. He too is a founder member of Wheeler Street and an experienced and extremely competent sound engineer. He owns his own studio and also teaches music both privately and for a music school.